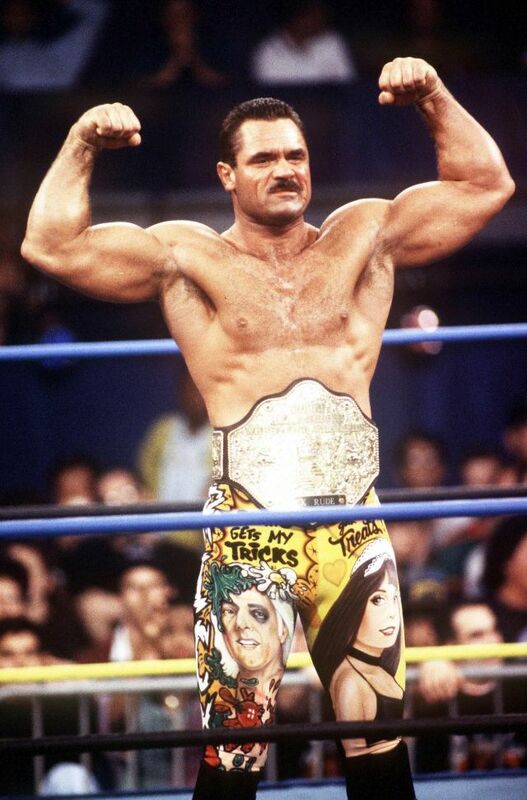 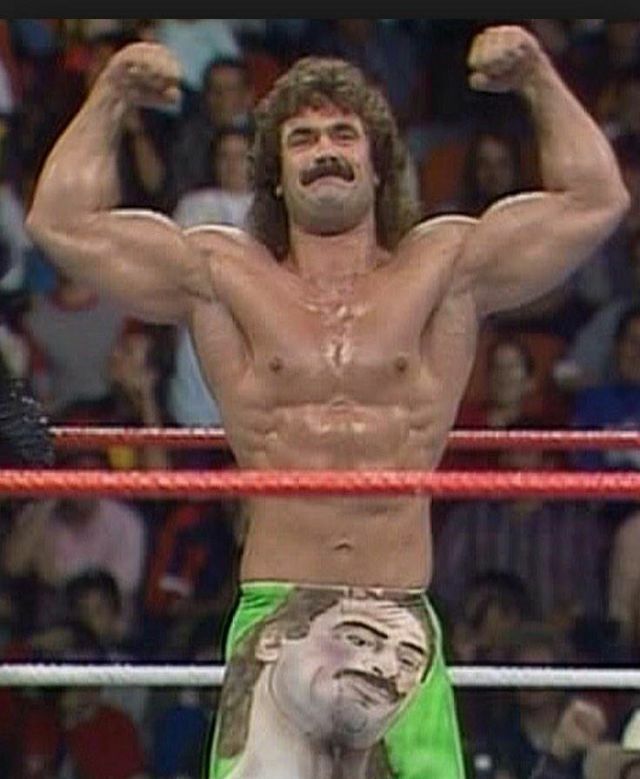 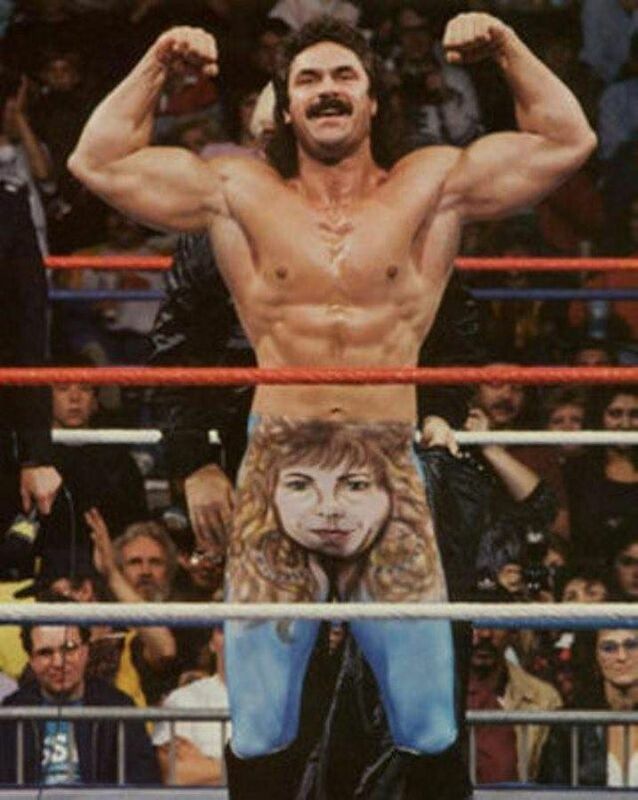 Rick Rude was awesome at playing heel as it was, but his tights always helped give him that little extra something to stand out. They were always creative and often pretty detailed. 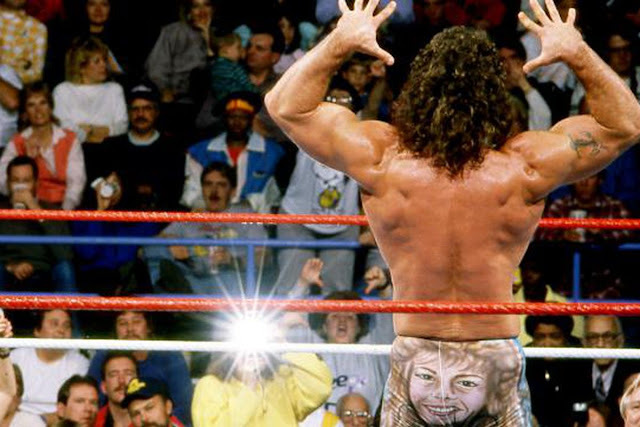 RVD tried to compete with his stoner art (and Ryback to a lesser extent) but Rude was on another level.